As you can see from yesterday's post, there's talk that Suzuki might bring a small pickup to the U.S. market. Although it seems unlikely at this point they might just be onto something. Let's see: Ford is getting rid of the most fuel efficient pickup on the market. It is also the smallest (or close to it). That means the smallest pickup one can buy on the U.S. market will be the Chevy Colorado, which gets 18/25 for MPGs. (Ranger gets 22/27), and isn’t that small at 192” long. And let's face it: The Colorado isn't exactly "compact" at the aforementioned 192" long, with a 111.3" wheelbase, and a curb weight of 3,718 (4WD auto). Remember when companies offered a compact pickup? 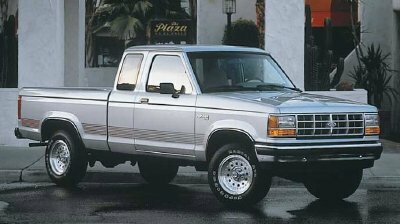 The 1990 Ford Ranger, for example, weighed nearly 1,000 lbs. 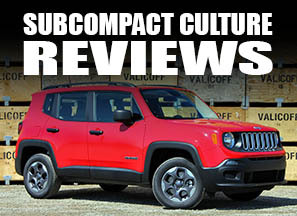 less than the current 2.9-liter Colorado, and was 16" shorter. Ford sold a ton of 'em. But, over time, like most vehicles, trucks kept getting larger, and larger, and heavier and heavier, while the fuel economy dropped. I'd argue there isn't a single "compact" pickup on the U.S. market anymore. Yes, some are smaller than others, but compact? Not in my eyes. And, just like it used to be with small, subcompact cars, if there is nothing to choose from, then of course there's not going to be high sales. Remember 5-7 years ago when people said, "There's no market for subcompacts in the U.S."? Now look at the vast choices! If Suzuki can come with a competitively priced, fuel efficient pickup that is smaller than the Colorado/GMC Canyon (and the current Equator), they might be able to bring in people who don’t need a full-size or mid-sized pickup. This would include people like me. I’d buy one of these in a heartbeat. I don’t haul large loads, pull heavy trailers, or stow tons of gear. But from time to time, I could really use a vehicle with a pickup bed, and I enjoy off roading. I, however, also want a vehicle that gets Ranger-like (or better) fuel economy. I totally agree. When I was a kid, my dad had an old B2000 we used to tool around in. My uncle had what I think was a Volkswagen Caddy pickup, though the memories get fuzzy that far back. The day that someone brings a compact pickup like the X-HEAD to US shores is the day I buy one. For now, I'm sticking with a bike. I'd buy one. Maybe they will even offer diesel?! Well if they're doing away with it, I'm sure there are still lots of fuel efficient cars out there. 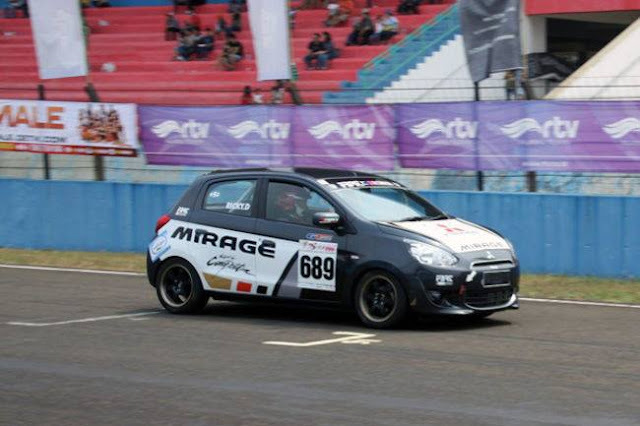 If not, modification of its air intake systems or exhaust systems will greatly improve the cars mileage. What is the truck in the picture? It looks rather awesome with the bolted construction. Is it one of the Ford Rangers? 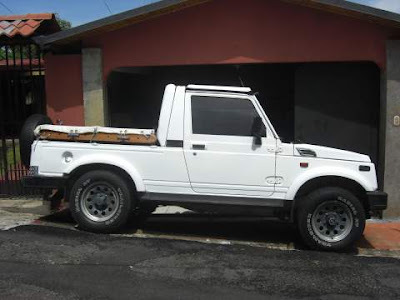 The top one is a Suzuki Samurai long-wheelbase (still sold in New Zealand as the Suzuki Farmworker. The design details of such vehicles vary significantly, and different nationalities seem to specialize in different styles and sizes of vehicles. For instance, North American pickups come in full-size (large, heavy vehicles often with V8 or six-cylinder engines), mid-size, and compact (smaller trucks generally equipped with inline 4 engines).